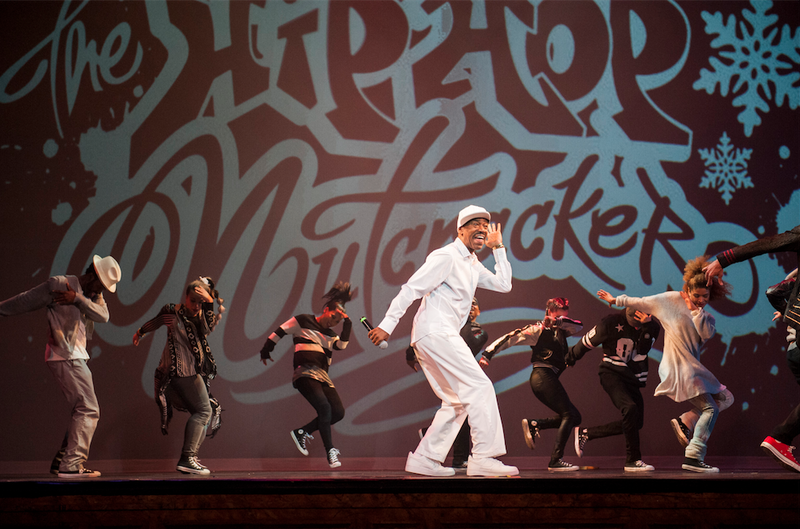 The Hip Hop Nutcracker, the contemporary re-imagining of the magical ballet returns to the Fox Theatre on Sunday, Nov. 27 at 6:30 p.m. Set to Tchaikovsky’s timeless music, The Hip Hop Nutcracker is a holiday mash-up for the entire family. Produced by the New Jersey Performing Arts Center (NJPAC) and co-commissioned by United Palace of Cultural Arts, The Hip Hop Nutcracker will kick off its second North American tour on November 17, spanning 23 cities from New York to Los Angeles. Tickets will be on sale to the general public Monday, Sept. 12 at 10 a.m. and are priced at $75.50, $55.50, $35.50 and $25.50, plus applicable fees. Ticket will be available online at www.FoxTheatre.org, by phone at (855) 285-8499, or visiting the Fox theatre Ticket Office. Directed and choreographed by Jennifer Weber, The Hip Hop Nutcracker is a full-length production performed by a supercharged cast of a dozen all-star dancers, a DJ and a violinist. Through the spells cast by the mysterious Drosselmeyer, Maria-Clara and her prince travel back in time to the moment when her parents first meet in a nightclub. Digital scenery transforms E.T.A. Hoffmann’s beloved story set to the streets of New York. The dance work celebrates love, community and the magic of New Year’s Eve.